While storm and damage data is still being collected, it appears that the tornado outbreak that tore through the Midwest yesterday may be the worst in almost a decade. In fact, yesterday was the second most active severe weather day of 2013, with roughly 500 total reports of wind damage, high winds, tornadoes, and large hail. 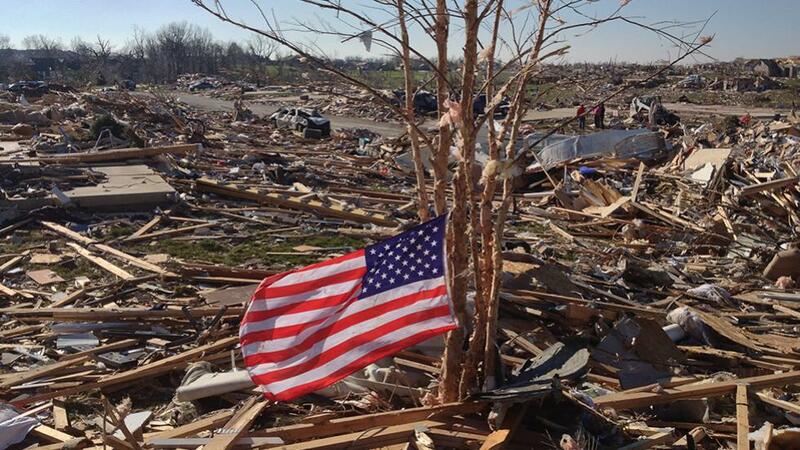 Dozens of twisters swept across 12 states leaving a wake of devastation that will take months to clean up. At this time the death toll stands at 8, but officials have reason to believe that number will grow in the coming days. Tens of thousands of people are without power at this time and entire city blocks were leveled in some places. Even though fall is considered the unofficial “second season” for tornado activity,an outbreak this severe and widespread is an anomaly for mid November.